Sonos has introduced the Deezer Radio service and improved remote control via your iPhone (or iPod touch) with its latest software update this month. If you are already the owner of Sonos' impressive wireless music-streaming kit then the latest (version 2.8) software update is sure to make you even happier with your investment. Deezer Radio is now available to Sonos users in 30 European countries, a smart move by the Last.fm style service. Added to the fact that your iPhone can now operate in pretty much exactly the same way as your Sonos' remote control and we are already calculating the monthly repayments on a shiny new Sonos system. 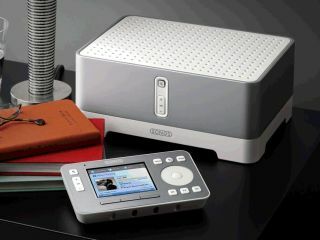 Plus, the fact that Sonos' own dedicated CR100 controller costs an astounding €399 can now be overlooked! Head over to Sonos for more info on how to wirelessly stream music all around your house (if you are feeling flush).